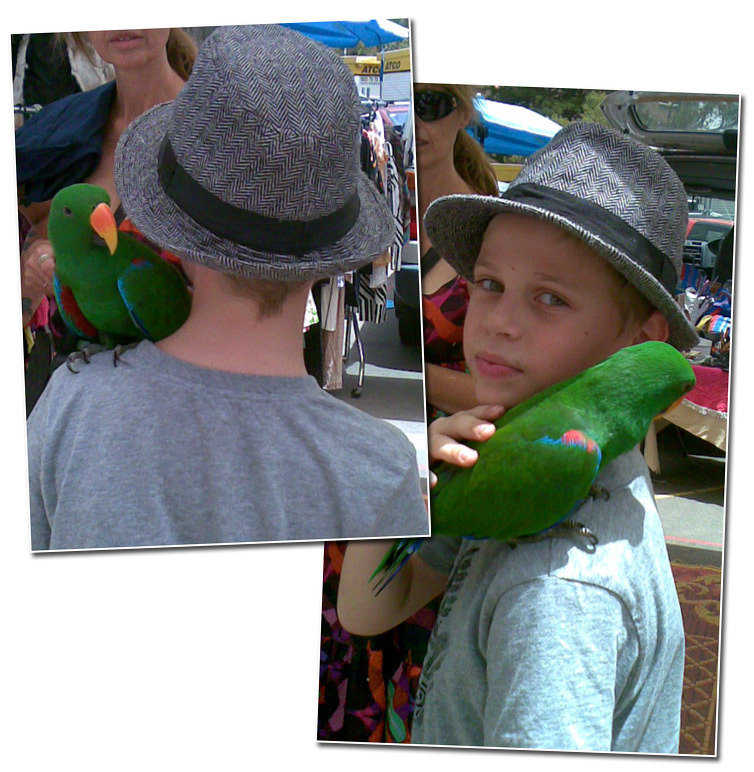 I took this photo at Bondi markets a while ago and have been meaning to share it with you - this bird just plonked himself on my son's shoulder. I was so busy looking at the funky hat that I missed the bird!! Yes, it really is me and I am slowly coming back to blogland. E-mail coming your way soon. I promise!